Wausau’s Artrageous Weekend is an art extravaganza offering admission-free fun for all ages at four Wausau locations the weekend after Labor Day. 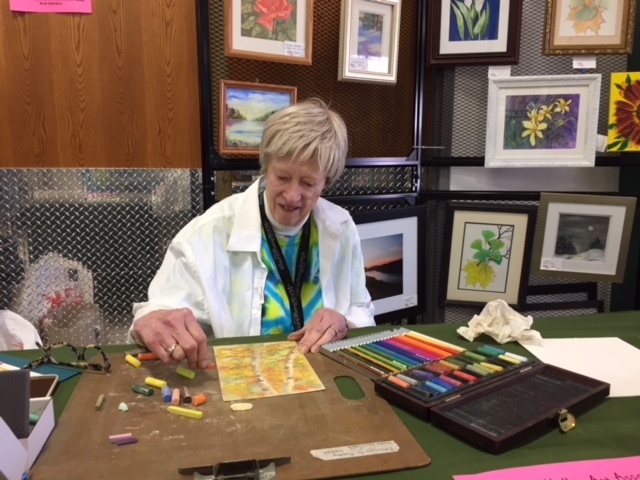 Art in the Park at Marathon Park; Festival of Arts and the Center for the Visual Arts, both in downtown Wausau; and Birds in Art opening festivities at the Leigh Yawkey Woodson Art Museum comprise Wausau’s Artrageous Weekend. See the 2019 press release and 2019 brochure for details. Art in the Park, organized by the Wisconsin Valley Art Association, brings together more than 120 exhibitors in the East Gate Hall and Exhibition Building in Marathon Park on Stewart Avenue near 17th Avenue on Wausau’s west side. Affordable art and hand-crafted items available for purchase include pottery, wearable art, paintings, photography, and more. A children’s art and craft area offers free activities as well as children’s book reading sessions. Food and beverages are available for purchase from local non-profit groups and businesses; ATM available. Free admission. Saturday, 9am–5pm; Sunday, 9am–4pm. Festival of Arts, Festival of Arts, now in its 55th year, is located on Third Street and the 400 Block and offers for purchase work by over 120 juried artists representing a variety of mediums. Strolling down Third Street, the festive browse-and-buy atmosphere is enhanced by live music on two stages. On the 400 Block, families can participate in children’s art activities in the Family Art tent and enjoy family appropriate entertainment on the Family Stage. Still Young at Art adult art classes provide adults with an opportunity to create his or her own work of art. At the Young Collector Market and Scholarship Silent Auction, art collectors of all ages can purchase art generously donated by Festival artists with the proceeds providing scholarships for area art students. Food stands, operated by local non-profit organizations, offer a delicious assortment of food and beverages. Free admission. Saturday 10 a.m.-5 p.m.; Sunday, 10 a.m.-4 p.m.
Center for the Visual Arts, 427 N. Fourth Street in downtown Wausau, in the recently renovated historic building, includes the Pottery Studio, new Vault gallery, and the Studio room. The CVA, a not-for-profit visual arts organization, works to engage people in the visual arts and add to the livability of the Wausau regional community through free exhibitions in professional gallery venues, by offering art classes for children and adults through the CVA School of Art, selling original artist work in its Gift Shop located in the Third Street Lifestyle Center of Washington Square, and collaborating with other local organizations and businesses to enrich the community. The CVA was the 2016 Small Business of the Year – Charitable Non-Profit – Award Recipient and 2017 Best Of… Local Arts Organization by City Pages. Free admission. Saturday 10 a.m.-5 p.m.; Sunday, 10 a.m.-4 p.m. Birds in Art opening weekend festivities at the Leigh Yawkey Woodson Art Museum feature opportunities Saturday morning to meet more than 60 artists who flock to the Museum from throughout the world for the opening of this internationally renowned exhibition. Early birds who visited the Museum for Birds in Art 2018 opening festivities on Saturday morning, September 8, 2018, 9 a.m.-Noon, could meet more these artists in the galleries and sculpture garden where they talked with visitors and signed catalogues and posters. Visitors browse galleries to see fresh artistic takes on birds by some of the world’s most talented artists in an array of mediums, portraying unexpected perspectives, amusing poses, and majestic bearing. The upcoming 44th-annual 2019 Birds in Art exhibition presents paintings, graphics, and sculptures created by more than 100 artists who bring a global perspective to their passion for birds. Always free admission. Special opening-weekend hours: Saturday, September 7, 2019, 9 a.m.-5 p.m.; Sunday, September 8, 2019, 10 a.m.-5 p.m. Birds in Art 2019 will remain on view through December 1, 2019. A recipient of the 2017 National Medal, the Woodson Art Museum was one of only two art museums to receive this nation’s highest honor for museum service to its community, awarded by the Institute of Museum and Library Services, a federal agency supporting the nation’s approximately 123,000 libraries and 35,000 museums. Free, handicapped-accessible shuttle buses connecting all four locations run every 15 minutes or so between 10am and 5pm from designated locations: Woodson Art Museum (12th Street, near south parking lot), downtown at Fourth & Jefferson, and at Marathon Park. Access photos via links, below. Click on the following underlined captions, which are URL links to access photos from each venue; please include caption information with images used. 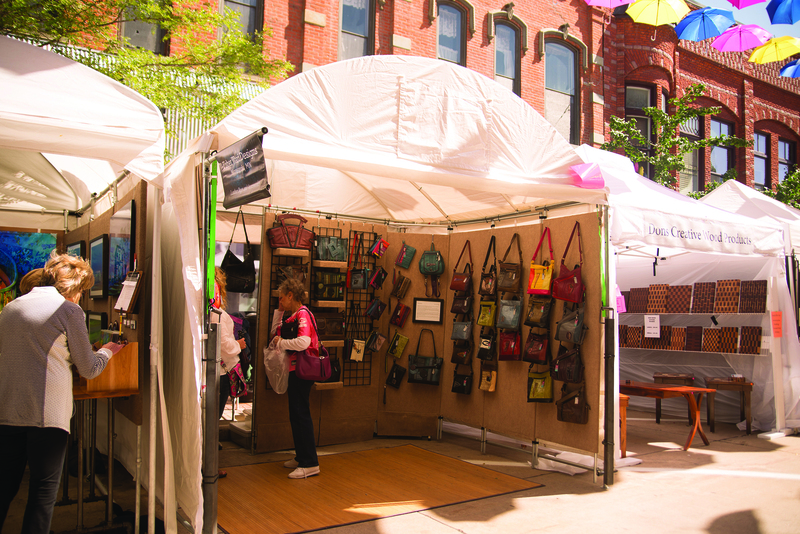 Festival of Arts hi-res photo: Shoppers stroll amongst booths downtown at Festival of Arts during Wausau’s Artrageous Weekend. Woodson Art Museum hi-res photo: The Leigh Yawkey Woodson Art Museum welcomes visitors and artists from throughout the world for Birds in Art opening festivities during Wausau’s Artrageous Weekend.